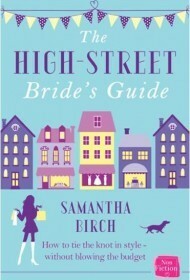 I have to admit that when I saw ‘The High-Street Bride’s Guide on NetGalley I thought it was a ‘Rom Com’. On reading the blurb I realised it was a non-fictional guide to achieving the wedding you want without having to take out a second mortgage and I was intrigued. I got married over thirty years ago before the infinite choices provided by the internet and the modern preoccupation with designer weddings however I have a daughter in her twenties and decided the opportunity to update myself on today’s wedding choices was too good to miss. The guide is user-friendly, full of anecdotal humour which presents the factual information in easy to read bytes. Broken into key element chapters with links on the contents page it is possible to easily dip in and out of this eBook a must requirement for any guide. Packed with options and cost cutting tips this guide is a great aide memoir for whatever type of special day you want and caters for all budgets. Brides-to-be can save hours of research and disappointment by following the guide’s advice and finding the right shops and websites immediately. ‘The High-Street Bride’s Guide’ uses professional research and personal experience in every chapter. With regular updates it should be a bestseller.